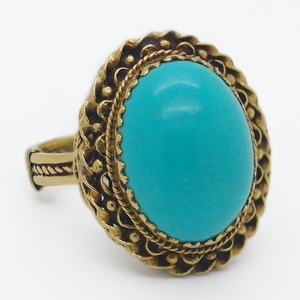 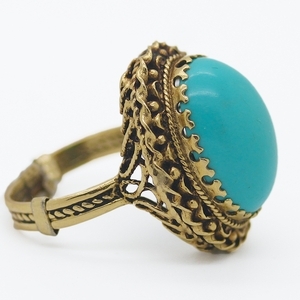 Large Estate Turquoise Cocktail Ring Reliable Gold Ltd. 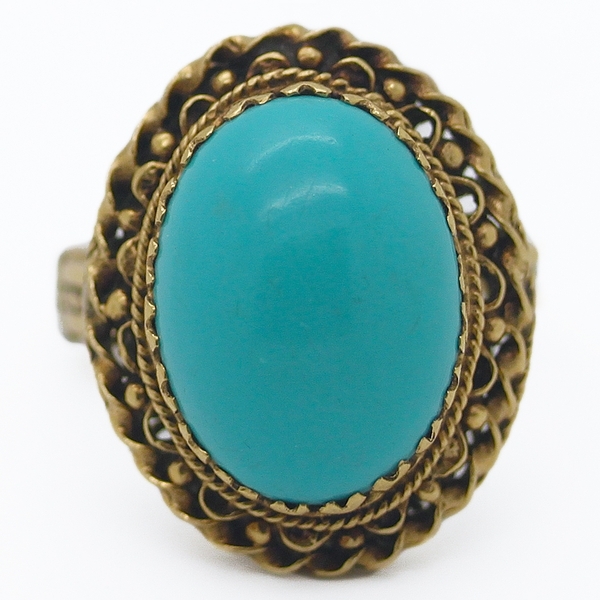 Truly fabulous estate ring with a large cabochon turquoise is mounted in an intricately filigreed 14K yellow gold mounting. 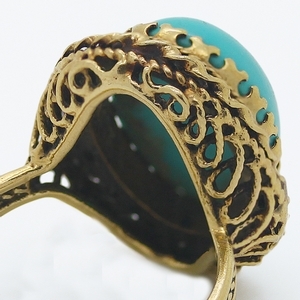 A stunning conversation piece!